At SecureFix Direct we stock a huge range of items that can be beneficial for marine use, and we even sell electrical switch panels and float switches. These can be used to make your boating experience easier and more enjoyable, as you can use them to control your lights, pumps or a range of other applications. When you need automatic float switches or an electrical switch panel there's no better option than SecureFix Direct. Automatic float switches can be implemented when you want to automatically turn bilge pumps on and off. This is helpful for reducing wear on the bilge pump, and for making sure that the battery isn't constantly being used. We also stock a model with a detachable base, which makes cleaning and maintenance even easier. 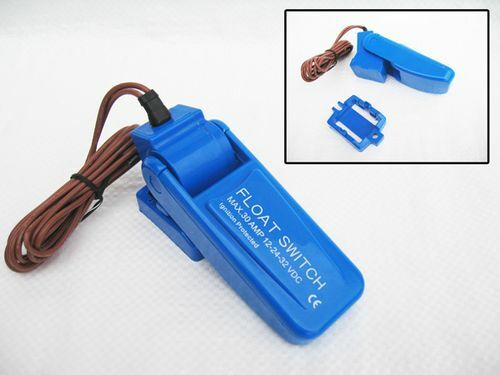 We understand what customers need from their automatic float switches, so take a look at the items in our store and make your purchase today. 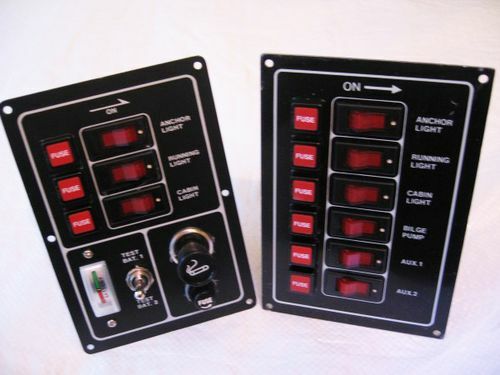 We have a huge array of electrical switch panels to choose from, made from strong material and with illuminated buttons. Most of our panels are pre-wired so they are ready to fit right away, and we're confident that you'll be happy with any of our high quality products. We also have models that come fitted with circuit breakers, and they can be mounted vertically or horizontally depending on your preference. Our large range of electrical switch panels ensures that you have everything you need right here at SecureFix Direct. Why choose SecureFix Direct for buying a marine switch? If you want to purchase a marine switch then you can benefit from the large amount of items in our store. We only sell the highest quality products that can have a positive impact on your boating needs, and if you ever have any questions regarding your purchase then you can simply get in touch and we'll provide all the help you need. We know what you need from automatic float switches and electrical switch panels, so don't hesitate any longer and buy a great product from us today. We also pride ourselves on customer service, so if there's anything you need then please don't hesitate to contact a friendly member of our team today.